Performing at her 70th birthday celebration! Performing at her 80th birthday celebration! Hazel Kathleen Bell graduated from Reading University with an Honours degree in English Language and Literature. She became a qualified teacher, and has taught English in several Hertfordshire schools and colleges as well as on Adult Education courses. While staying at home to bring up her three children, she started to work freelance for publishers, chiefly as an indexer; she has now compiled nearly 900 published indexes to books and journals. 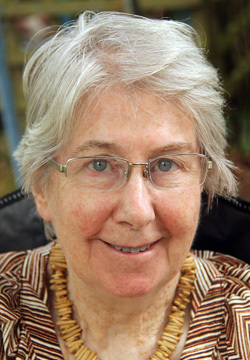 She was editor of the National Newsletter of National Housewives Register from 1972-76; editor of The Indexer, the professional journal of the Society of Indexers, 1978-95; editor of Learned Publishing, the journal of the Association of Learned and Professional Society Publishers (ALPSP), 1987-96; of the Journal of the Angela Thirkell Society, 1997-98; of Green Leaves, the journal of the Barbara Pym Society, 1999-2005; and of Friends' Forum, the newsletter of the Friends of Welwyn Hatfield Museums, 2007-2014. She now edits the newsletter of Welwyn Hatfield U3A. 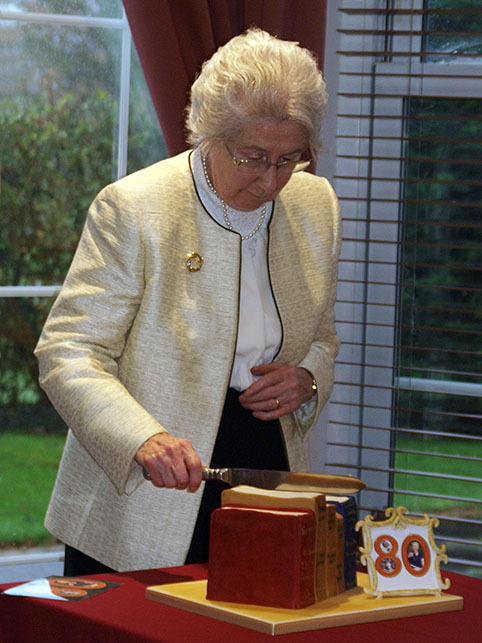 She received the Carey Award for services to indexing in 1997, was made an Honorary Member of ALPSP in 1998, and in both 2005 and 2006 was awarded the Wheatley Medal of the Society of Indexers for an outstanding index; the first for compiling the index to Seven Pillars of Wisdom; the complete 1922 "Oxford" text. She has written many articles, reports and reviews for journals, including, as well as those named above: European Science Editing, Journal of Scholarly Publishing, LOGOS: the Journal of the World Book Community, Library Management, Managing Information, newbooks, The Open Book (journal of the Alliance of Literary Societies), Rubber Developments (journal of Malaysian Rubber Producers' Research Association) and Serials. She has also written books as detailed on the page, "Books written or edited by". In 2006 Hazel registered as a publisher under the imprint HKB Press.